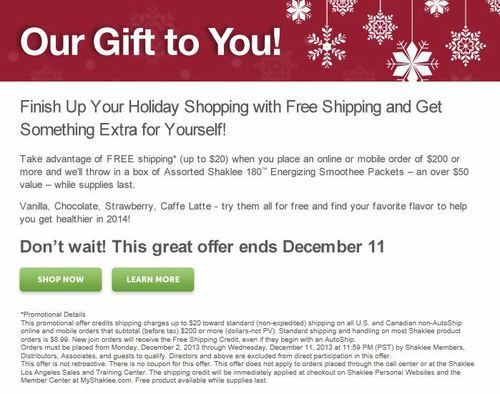 A Shaklee #CYBERMONDAY Deal You Don’t Want To Miss! CYBER MONDAY ALERT! Good through December 11th. FREE shipping on your gift list PLUS a gift for yourself!